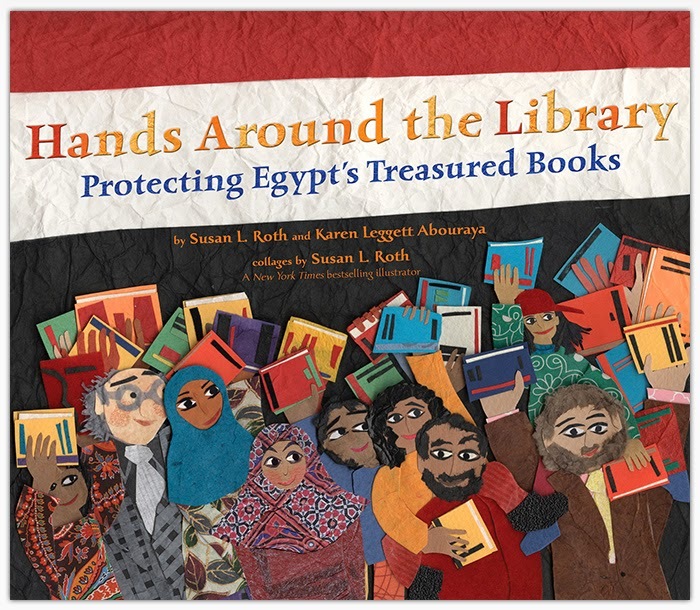 Karen Leggett Abouraya is the author of the children's book Hands Around the Library: Protecting Egypt's Treasured Books, a winner of the Children's Africana Book Award. She is based in the Washington, D.C., area. Q: How did your book Hands Around the Library come into being? 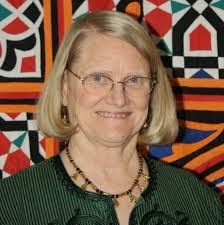 A: Susan Roth, my good friend and a prolific author/illustrator, was in awe after she visited the magnificent Alexandria Library in 2009 and said we had to write a book about it. So we did! We had written most of the book about the new and ancient libraries – and then the revolution happened in January 2011. Protesters – rich and poor, Muslim and Christian, old and young – held hands around the library to protect it from vandals. The director of the library, Ismail Serageldin, was quite eloquent in praising the people who had saved the library. So that became the centerpiece of our book, and most of what we had written previously became part of the back matter or the website. Q: What is the significance of the library in Alexandria, and how is it doing today? A: The first great library of Alexandria was built about 2,300 years ago. It was a magnificent and powerful symbol of the power of knowledge and learning. There are many theories about what happened to the ancient library but there is no trace of it now. In 2002, the new Bibliotheca Alexandrina – using the Latin name of the original library – opened with worldwide support. Its mission is lofty. The BA is to be the world’s window on Egypt, Egypt’s window on the world, a leading institution of the digital age, and a center for learning, tolerance, dialogue and understanding. And it really is doing all of that, as you can see with a quick look at the library website. Q: How did you and Susan Roth collaborate on the book? A: I was primarily responsible for the text and Susan for the illustrations, but we each advised the other. Susan is often more imaginative but I sometimes had to say “that didn’t actually happen…” and we had to revise a line of text or a picture. My husband edited both the text and the images for cultural sensitivity. In one case, Susan remade a little boy’s legs so his feet were not pointing at the teacher, which is considered very disrespectful among Muslims. Q: What has been the reaction to the book? A: The book has been very well received. The library in Alexandria has published a version in Arabic, which my husband will be reading at the Young Readers Center at the Library of Congress on April 9. After a school presentation in Maryland, a father from Uganda expressed appreciation for a positive story about an African country. The book has stimulated some excellent discussions among 3-5th graders about civic engagement – how to organize for something you believe in, how to write letters and make posters and work for a cause. A: My Egyptian husband Tharwat Abouraya and I are leading the Washington-Baltimore Friends of the Bibliotheca Alexandrina (the formal name of the Alexandria library) in a Virtual Book Drive with the literacy organization First Book, which is expanding globally. We will be raising funds to buy books for the children’s division of the Alexandria Library. All the details will be available here and on the book’s Facebook page. We are also seeking funding for a conference at the Alexandria Library in the next year or two on ways to expand access to children’s books in rural and underserved areas in Egypt.